Total immersion is closer than ever. We haven’t quite reached the Matrix or Snow Crash tier of virtual immersion just yet — and we’re still pretty far off from Ready Player One — but over the past few years, VR has expanded the way we engage with virtual worlds in crazy new ways. If you’ve ever wanted to swing around like Spider-Man or experience zero gravity in a 360-degree environment, then you can get a close approximation through VR these days. Buying a headset might set you back a bit, but to many, an investment in VR is an investment in the future. And you could always opt for the much-cheaper Google Cardboard. We explored some of the best VR experiences that you could find in 2017 and ranked them with an eye toward innovation and immersion. 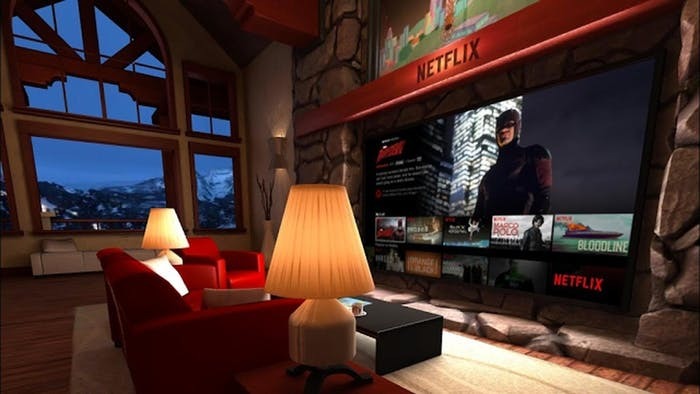 The free Netflix VR app allows you to watch Netflix in the virtual living room of a mansion, which is almost certainly an upgrade over your current viewing situation. With some headsets, you can enter the “Void Theater” mode, allowing you to adjust the screen to larger than your field of vision — imagine IMAX but bigger. Your VR film viewing catalog is limited only by Netflix’s library. 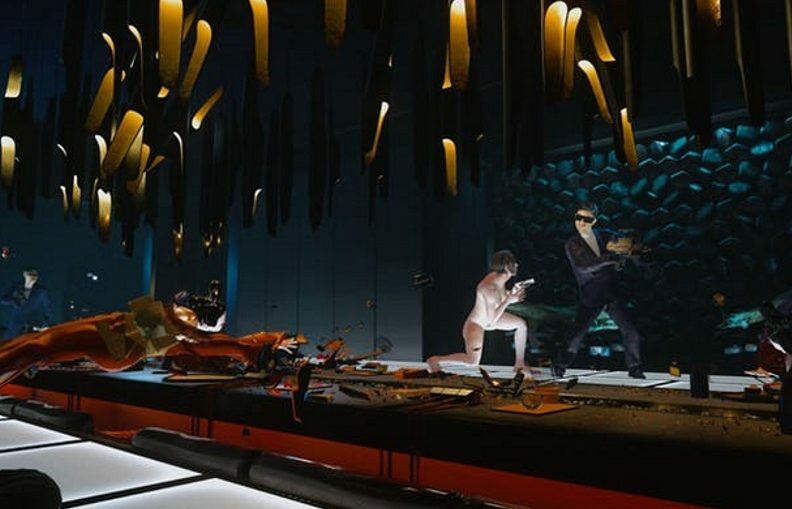 This on-rails experiential journey follows the Major in the famous building dive scene from Ghost in the Shell. Released as a promotion for the movie earlier this year, the VR experience is a genuinely stunning look at what it’s like to be the Major. Ghost in the Shell has long been one of the most stunning and fully-developed sci-fi worlds out there, and now you can get a closer look than ever before. The greatest thing to happen to Trekkies everywhere, this co-operative VR experience allows up to four players to step inside the bridge of a Federation vessel and operate the ship. Players take the seat of captain, weapons specialist, steering navigator, or engineer. Though all the action takes place while you’re in a seated position, the game delivers on a solid fan service-focused experience. A must-try for any Trekkie out there. This black-and-white psychological thriller drifts through a pulpy nightmare that appeals to fans of old-school horror. The mystery itself is pretty intriguing, set in a 1940’s hospital that went through a haunting transformation. There’s something uniquely unnerving about experiencing everything in black-and-white. 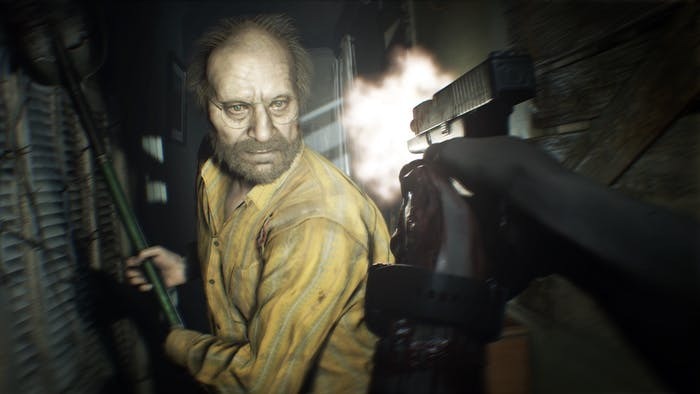 Those with a PlayStation VR headset have the option of experiencing the already very good and very scary Resident Evil 7 in VR. The one drawback is that you still have to play with a controller, so all you get is the immersive visual experience. Once you get over that disconnect, you can engage with a truly horrifying experience that’s totally worth your time. Ultimate Frisbee is pretty cool. You know what’s cooler? VR Ultimate Frisbee set in zero gravity that looks like something out of Tron fused with Ender’s Game. That’s Echo Arena. One of the more intriguing and bizarre applications of VR out there, Horizons has players use the Google Daydream controller to move through a surreal, colorful world. The music shifts with the gameplay experience as you dive underwater and weave through mountains. 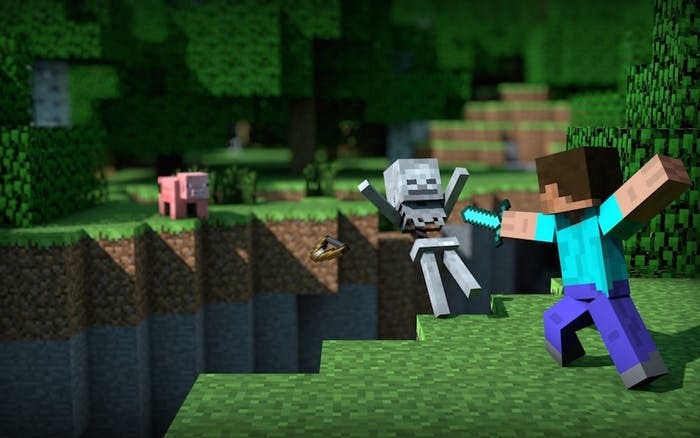 Minecraft already enthralls players across platforms with its blocky graphics and alarmingly complex gameplay, but experiencing it in VR takes things to a whole new level. Arguably the king of all sandbox games, Minecraft translates well into VR, making it a must-have for fans of the regular game that also have a VR headset. Have you ever wanted to live inside a sound visualizer? Billed as an “audio-reactive experience,” Fantasynth takes you inside a colorful world pulsating with music by N’to’s trance track “Chez Nous.” Environments are procedurally generated and the experience lasts only 7 minutes long, but it’s one that’s worth repeating as it offers a truly unique experience. Inspired by real-life NASA training simulations and commissioned by the BBC, Home: A VR Spacewalk allows users to experience a space walk in first-person as they float 250 miles above Earth. Do things get crazy like in Gravity? Not quite, but you still have to deal with an emergency or two that pops up, making this a high-stakes thrill ride that will pretty accurately let you feel like an astronaut. Yet another spacewalk, Lone Echo eschews anything even remotely close to reality to lean heavily into sci-fi. You play as an A.I. with a synthetic body and use futuristic tools to solve problems on a spacewalk near Saturn. It’s a fun and inventive problem-solver. There’s also a similar experience in a multiplayer format via the Echo Arena. Superhot has no right being as fun and mesmerizing as it is, considering you spend your time shooting and slashing your way to orange polygon enemies. Yet, the simple mechanic at the game’s core magnifies the experience: Time moves only when you move. That, coupled with a stylish simplicity makes this one of the coolest VR games out there. The only thing better than more Rick and Morty episodes is this VR game that offers a genuinely fun — and funny — adventure. If you’re a fan of the show with access to VR, then you should buy this game immediately and never look back, because it’s full of characters from the show — all with the same voices — and loaded with Easter eggs. Imagine a spacewalk that takes place inside a trippy dream, and you might get a sense of how Form feels. You use your hands to manipulate the realm around you, solving puzzles to trigger the next dazzling transformation of the landscape. 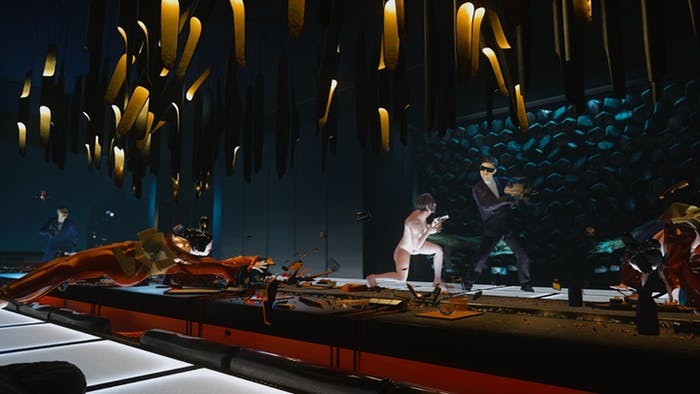 The bonkers gameplay can be dizzying, but if you have the stomach for overwhelming, sometimes twisted experiences, then this could be the best time you spend in a virtual world. A VR climbing simulator sounds pretty cool, but To the Top goes further by giving you stretchy hands. In this fast-paced parkour experience, you can swing like Spider-Man between objects to climb and reach objectives. The thrilling experience is not for the faint of heart, but once you get the hang of it, you’ll reach that “top” in no time. Farpoint is easily the best-looking first-person shooter in VR right now. Along with an awesome sci-fi setting, integration with the PS4 Aim Controller makes this VR experience more lifelike than other games that require the use of a traditional controller. It has the feel of a classic arcade light gun game but with top-of-the-line VR graphics and an exciting story. Raw Data opts for exciting and complex combat and sacrifices a more developed story in the process, but it’s totally worth it. The wave-based shooter gives you cool weapons in a cool sci-fi setting. Raw Data already has over 1,000 “Very Positive” reviews and counting on Steam following a full release on October 7. The subtle inclusion of a manual reload mechanic makes the experience feel that much more lifelike, making this game stand out. Zero Latency’s “free-roaming, warehouse-scale, multi-player, virtual reality gaming experience” can be found at locations in Las Vegas, the Pocono Mountains, and more. What you get is an incredible fusion of laser tag and VR shooters, complete with a hefty gun and big open space to move around in. Their Zombie Survival experience unfolds not unlike a Call of Duty zombie game, while their newer “Singularity” game format offers a longer sci-fi shooter experience set inside a space station. Though the graphics are a bit lacking, the added novelty of the physical space makes up for it. The Void explores deeper levels of immersion beyond strapping a VR headset around your face. What if the environment augmented the experience to stimulate your other senses? Locations at Disney Land and World currently offer a Star Wars: Secrets of the Empire experience with other venues offering different whole-body, fully immersive VR experiences like one set in the Ghostbusters universe. Who wouldn’t want to go on a mission for the Rebellion alongside characters from Rogue One? Of the several more physically-immersive VR experience, those offered by IMAX represent some of the most exciting, especially to fans of franchises like John Wick and Star Wars who want to go for headshots or deflect laser blasts with a lightsaber. There’s even an eagle flight simulator and a game based on Paranormal Activity, so fans of any genre and age range can usually find an experience that’s to their liking. IMAX VR experiences not only involve headsets, but also 360-degree sound and room tracking so you can maneuver about a small area to achieve your goals. This article was originally published by INVERSE.